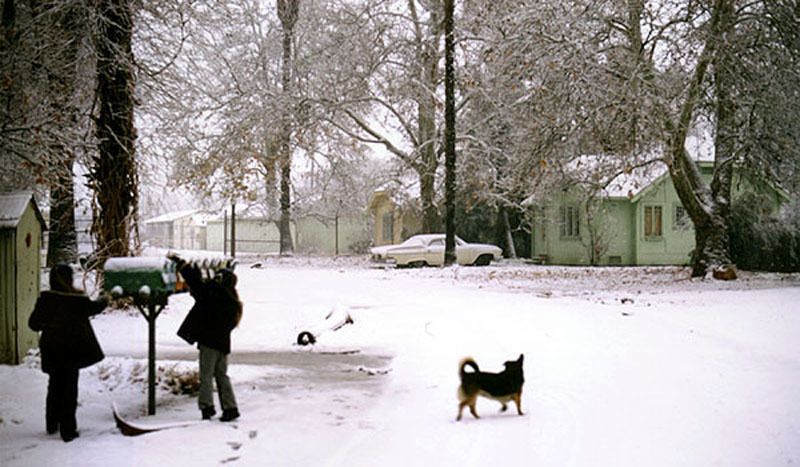 Family of Bruce Carter on the Edison property, showing a row of Edison workers' homes, during the snow of Jan. 3-4, 1974. The homes, including the Carters', stood on the south side of Magic Mountain Parkway in Valencia (adjacent to "Edison Curve"). BC1974c: 19200 dpi jpeg from smaller jpeg.